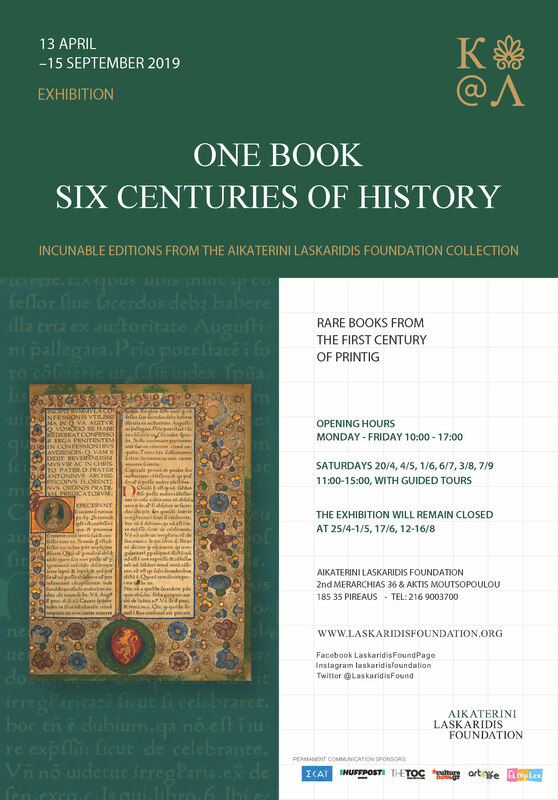 The exhibition “One book, six centuries of history”, which accompanies the colloquium of the same name, presents 17 incunables from the rich collection of the Aikaterini Laskaridis Foundation. carry the material evidence of the unique history of each copy through time. 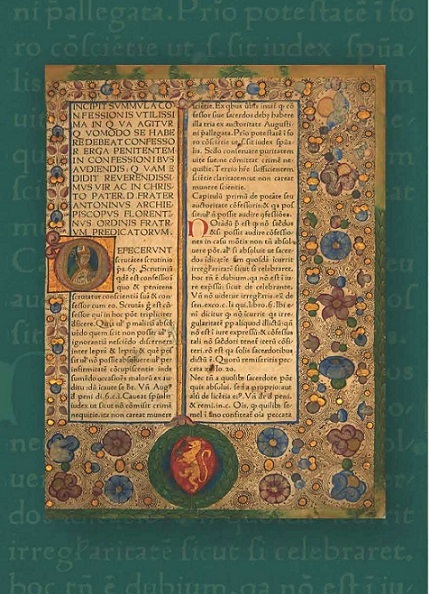 The Collection of Incunables of the Aikaterini Laskaridis Foundation originates from the two most prominent collections of its Historical Library: Bibliotheca Graeca (Collection of Athanasios Oikonomopoulos) and the Collection of the Foundation’s President, Panagiotis Laskaridis. It comprises mostly of Greek and Greek-centred editions, as well as prominent examples of Latin, medieval and later literature. As of today, the Aikaterini Laskaridis Foundation holds the second largest collection of incunables in Greece after the National Library of Greece. The collection comprises 102 titles in 107 copies and continues to grow. The exhibition will remain closed at 25/4-1/5, 17/6, 12-16/8.